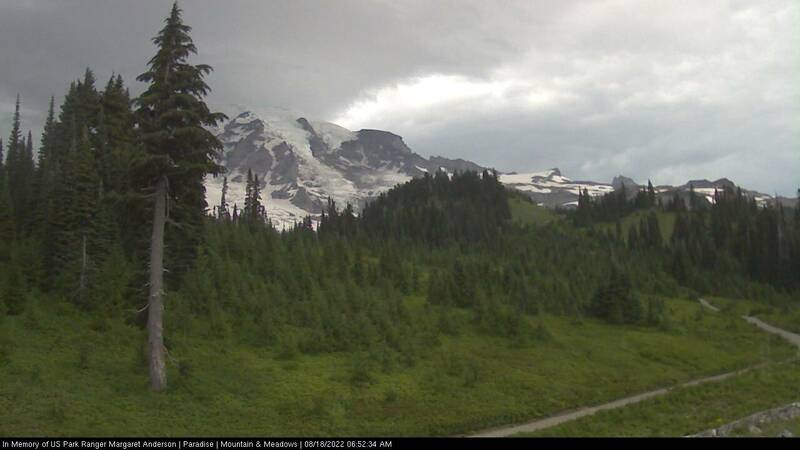 This camera is owned/operated by the National Park Service in Mount Rainier National Park. Refresh your browser frequently to view the most recent image. 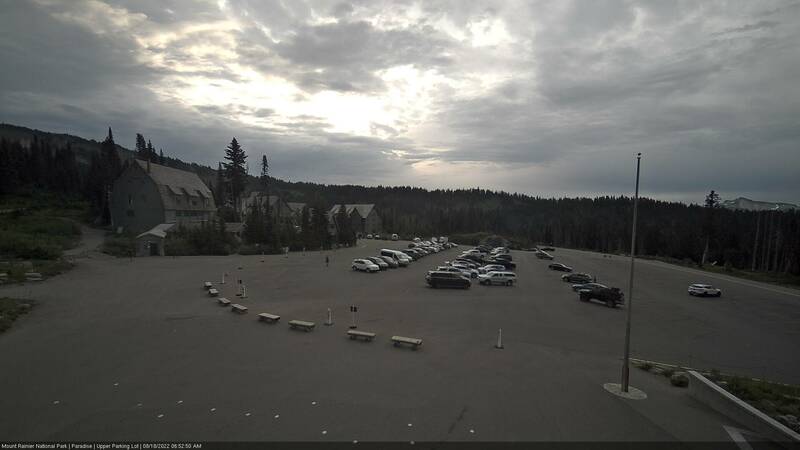 Make sure to save this webpage in your browser and check back often for current conditions on Mount Rainier as well as the Mount Rainier Recreational forecast by the National Weather Service in Seattle, WA. 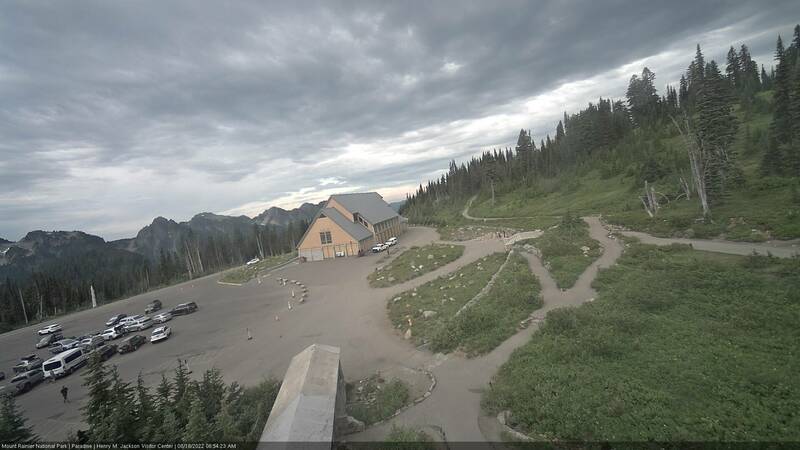 The camera view at the top of this page is from the Henry M. Jackson Visitor Center at Paradise. 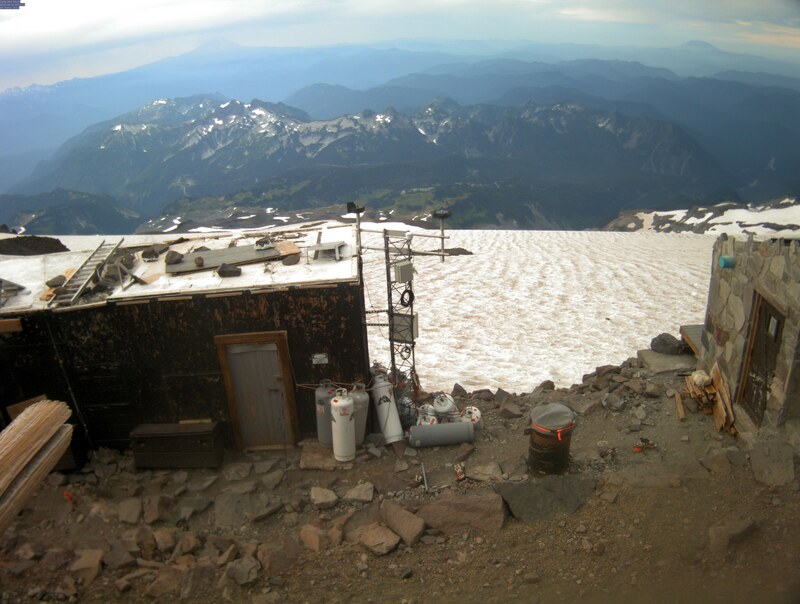 The camera view below the Recreational Forecast is from Camp Muir at 10,080 feet. This camera is on top of the former "Guide" facility which is now occupied by the National Park Service Climbing Rangers. Is the mountain out?? ?